It’s the healthiest meal of the day! 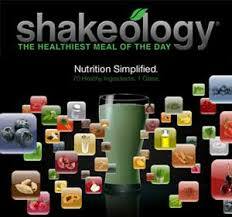 Shakeology is a meal or snack replacement shake from Beachbody that has more than 70 healthy ingredients in it. It would take multiple trips to whole foods to eat the same amount of nutrients that are inside every Shakeology shake. Shakeology is made from the finest whole-food sources that are available. The ingredients include Camu-Camu, Goji berry, Acai berry, Acerola cherry, bilberry, Barley grass, blue-green algae, Chia seeds, and wheat grass to name few. With Shakeology you take the guess work out of nutrition. You can’t get EVERYTHING that is in Shakeology from other meal replacement shakes. No! 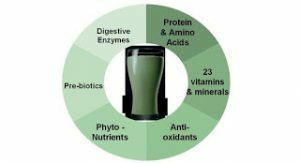 I have compared numerous supplement & meal replacements shakes (most of which are full of added sugers & addivites- and none compare to all of the nutrients that are provided in one glass of Shakeology, the Healthiest Meal of the Day. Simplify your nutrition! It’s a bit more in price than cheap protein powders but if you were to try and mix multiple cheap powders to make the ingredients similar it would cost you a lot more! In an independent 90-day study, participants replaced one meal a day with Shakeology and exercised regularly. Even if you searched all over the world, you probably wouldn’t be able to find all of the 70-plus, ultra-high-quality ingredients that are in Shakeology. 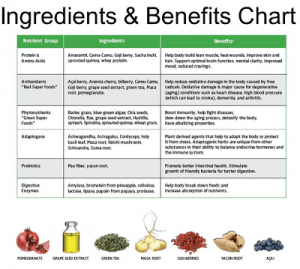 Not only do you get a wide range of essential nutrients, from the fruits and vegetables you should be eating more of every day, you’ll also get the benefits of important foods from all around the world—foods that the latest scientific research has shown to be highly advantageous to your well-being. Many of Shakeology’s fruit and vegetable sources have been chosen for their high concentration of healthy natural substances known as phytonutrients, including flavonoids, polyphenols, anthocyanin’s, and catechins. These substances have antioxidant properties, meaning they help get rid of molecules known as free radicals, which damage cells and may be a key component of the aging process. In laboratory tests, phytonutrients have shown promise in helping prevent a wide variety of degenerative conditions. What’s more, studies suggest that the natural mix of phytochemicals you get from whole-plant sources is more effective than taking them individually as nutritional supplements. Shakeology comes with a 30-day bottom-of-the-bag guarantee (you can also get free shipping)… so there is NO risk! If you would like any help or suggestions just let me know! 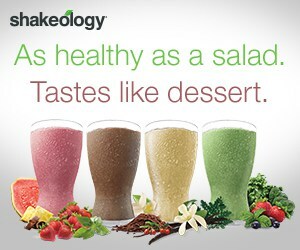 For more information on Shakeology, contact me or go to my coach website. Our Price: $119.95 For a 25% off discount, see the coaching opportunity. You can order a few ways. The price will be the same wherever you order from. You can get discounts if you buy a challenge pack or signing up as a coach will also give you discounts. Contact me for more information on that. Thank you for ordering and I look forward to seeing you in my Private Facebook Group. 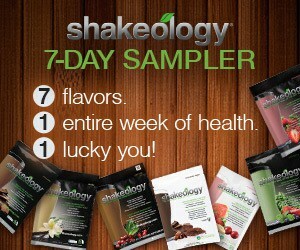 Try a 7 Day Sampler! HOW Alcohol can Interfere with your WEIGHT LOSS?